My point (and there is a point) is, I think cheese is vitally important. My very first review was about a cheese shop, and some of my greatest friendships have been forged over a shared love of cheese. In the coming months (i.e. when I have finally earned some money) I’ll be writing a lot more about cheese, as soon I’ll be living with some friends who adore it as much as I do. Cheese-mates. It’s a great term. If everyone in the world had a cheese-mate, or just took the time to sit down and have a bit of a Port Salut, or savour a spoonful of Stilton, then the Earth would be a much better place to live. 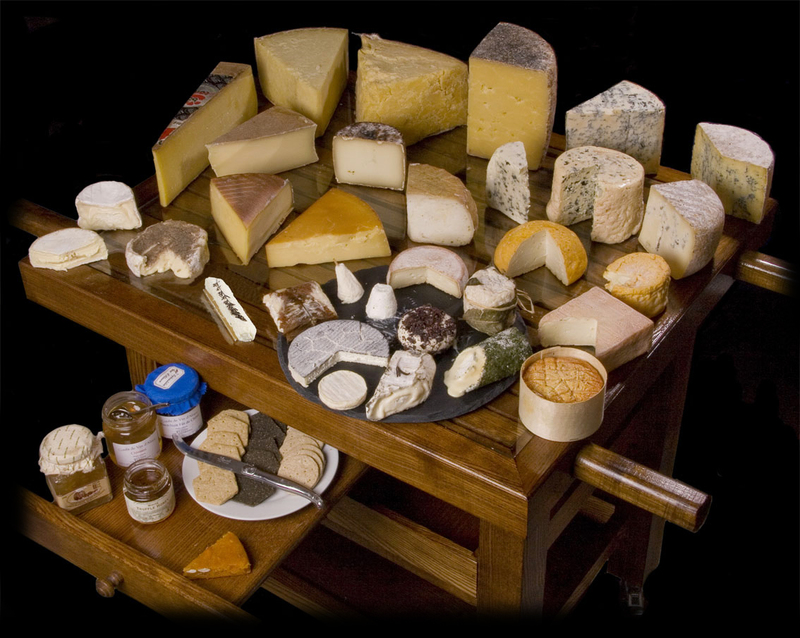 I’m always more relaxed when eating cheese, so this will be my Mid Year’s Resolution: take the time to eat cheese. With a potentially manic and stressful job coming up, this may well be the key to my staying sane. Ah, Chris, my cheese-mate, my old, how you crack me up! Did I ever tell you about the cheese cave I went to in Bordeaux? I don’t believe so, ma petit fromage, but I’d be delighted to hear about it! I was travelling in France (as you do…) and did a guided walking tour of Bordeaux. There are all these lovely houses that used to be wine bottling businesses, which had dirt floor basements where they stored the wine barrels. We went to one that had been converted into a restaurant and in the ‘cave’ (the basement), they had closed off one end with a glass wall and made it into a climate-controlled cheese room. There must have been 150+ cheeses in there. There were five different blue cheeses, including one in the back corner that I swear was sentient. Anyway, after lunch, they took us down there to get some cheese for the cheese course. AND THEY LET US LOOSE WITH A PLATE AND A KNIFE. They. Let. Us. Loose. And left us alone. Wow… Just… Wow… There aren’t enough ellipses in the world to do my amazement justice. I want to go to there! You must have had vivid dreams for a month!